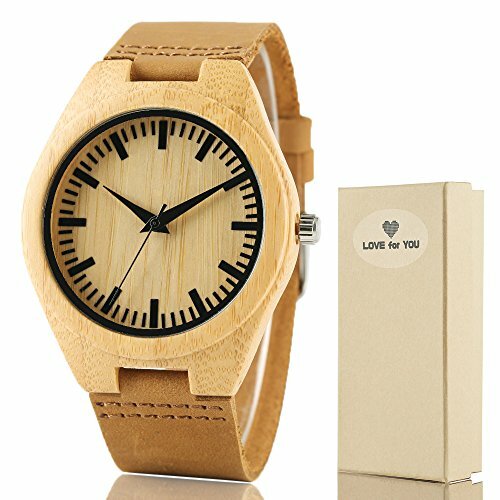 Unique and casual natural bamboo wooden watches，soft genuine leather band, lightweight and easy to wear. The watch is made from natural wood and is wrapped by hand, No paint and No chemical, But it mabe may have some natural harsh lines and a few blemishes. and there may be color difference of the wooden case，We can't avoid, please understand. If you have any questions about this product by Jewelry Image, contact us by completing and submitting the form below. If you are looking for a specif part number, please include it with your message.